Hayward RS II Variable speed pumps offer cutting edge motor technology which significantly reduces power consumption and running costs whilst improving filtration and heating function. 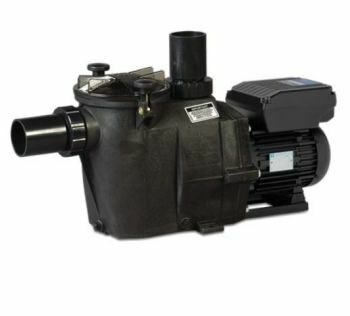 Due to the variable speed the pump can operate for a 24 hour period offering around the clock filtration at a fraction of the cost of a typical fixed speed filtration pump running for an 8 hour period. The pump has an in-built control panel or alternatively can be connected to the Hayward Control Station for full automation. Up to 5 daily speed changes can be programmed, this will allow for an increase in flow rates to assist with skimming and intensive filtration. The robust and efficient German design and engineering ensures a long and reliable operational life. The Hayward RS II VSTD comes supplied ready with 63mm glue socket unions for connection. 2.0HP/1.4Kw 230v/50Hz Efficient German Motor Technology. Integrates with Hayward Control Station. Energy saving of up to 85% compared to single speed pumps.